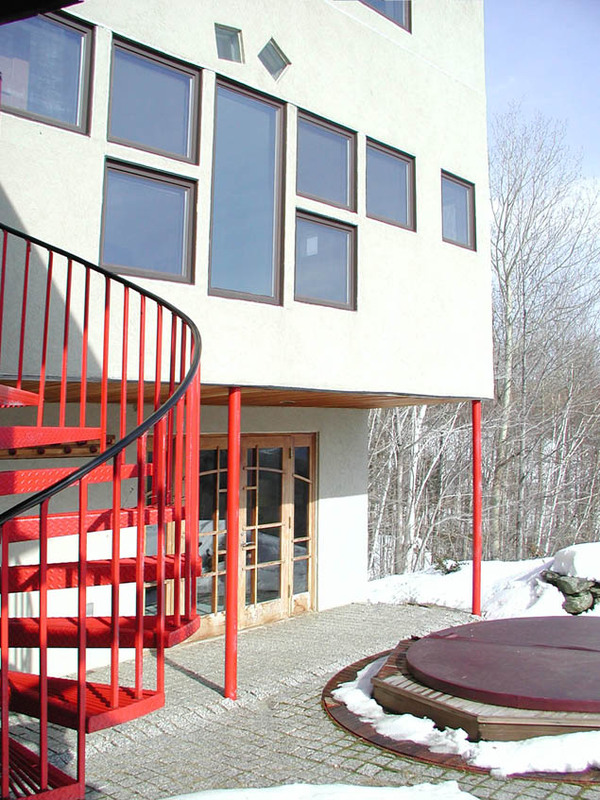 This addition to an early prefab Deck House was designed as an architectural "conversation" between custom architectural design and affordable product design. The client called it more of a shouting match than a conversation. Also notable as an early application of DryVit "outsulation" (EFIS), it later became part of class-action suite against the manufacturer. 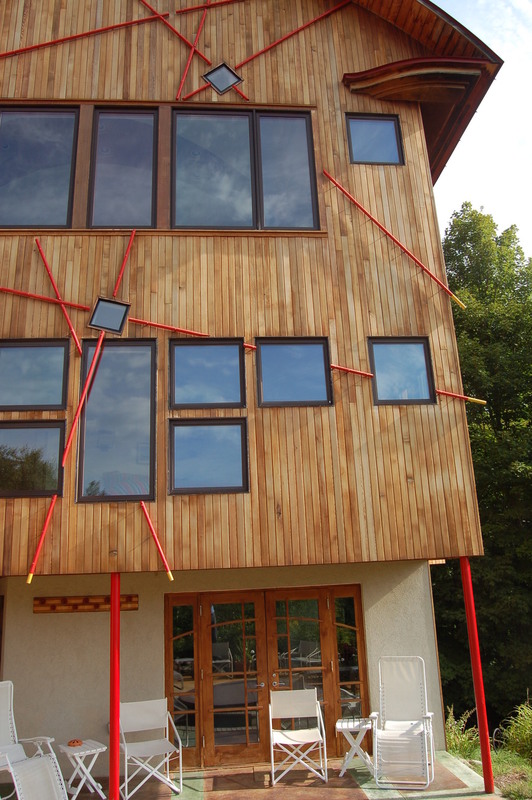 After that case was won, the house was re-sided in vertical cedar, the "confetti" windows were mostly eliminated and the south facing ornament (red) was installed.